During the year 1909, 87 balloon ascensions were made in new England, 81 of which were made from Massachusetts, and 6 from Vermont. The flights were made using 10 balloons and 15 pilots. A total of 137 people participated in these flights, 18 of them were women. The total air miles flown was 3, 774 miles. 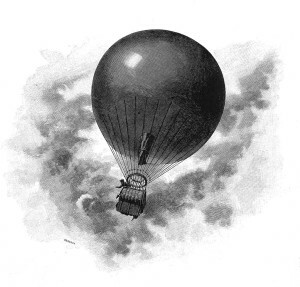 The longest trip of the year was made July 11, 1909, by a balloon with 5 people aboard that flew from North Adams, Massachusetts, to Topsham, Maine.